157 in stock Need More ? Rosalind hates her new secondary school. She's the weird girl who doesn't talk. The Mute-ant. And it's easy to pick on someone who can't fight back. 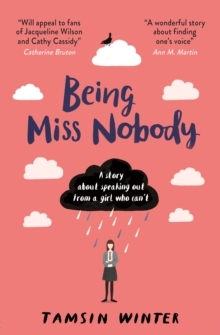 So Rosalind starts a blog - Miss Nobody; a place to speak up, a place where she has a voice. But there's a problem... Is Miss Nobody becoming a bully herself?